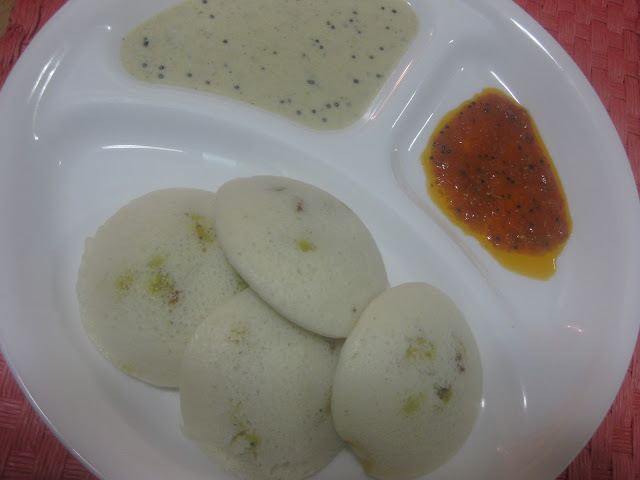 Idly is a steam cooked breakfast item which is very healthy and nutritious.I make stuffed masala idly if I need a change from regular idly and got this recipe from a cook book which came with the my wet grinder.It tastes delicious with coconut chutney or pudina chutney. 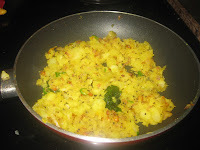 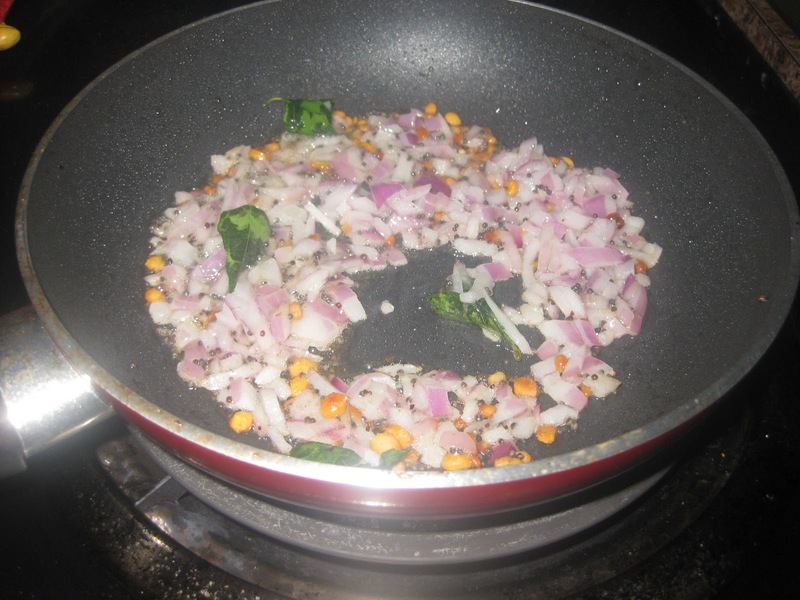 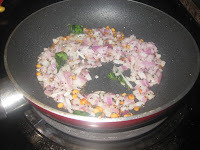 Cook the potato,mash and keep it aside.Heat oil in a pan add mustard seeds,urad dhal,channa dhal,curry leaves and asafoetida.Fry the onion and green chillies till it becomes soft.Now add in the mashed potato,salt and turmeric powder and saute it till it gets mixed well.Finally add the coriander leaves and turn off the flame.Allow it to cool down. 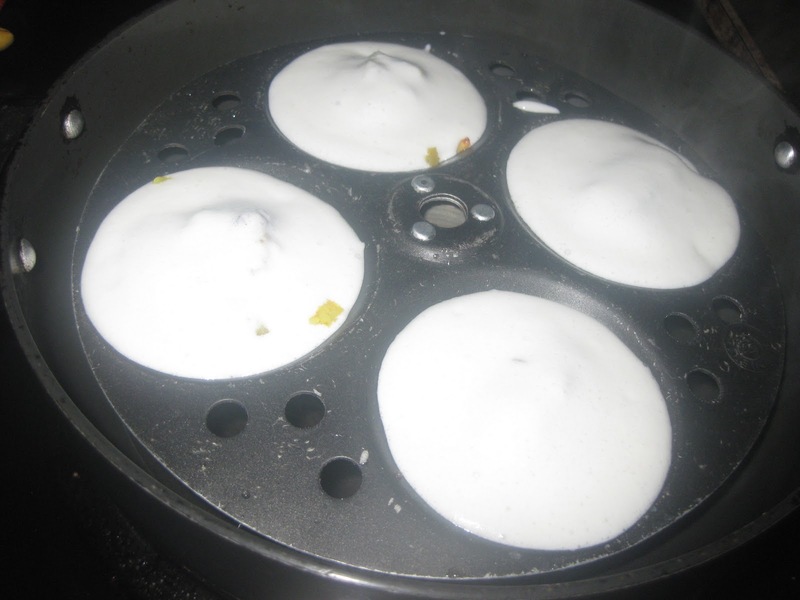 Grease the Idly plates and pour a tbspoon of Idly batter and keep a small scoop of masala and pour another spoon of batter to cover the stuffing.Steam it in the cooker or steamer,till it gets cooked. Fluffy and spongy stuffed idly is ready to serve. 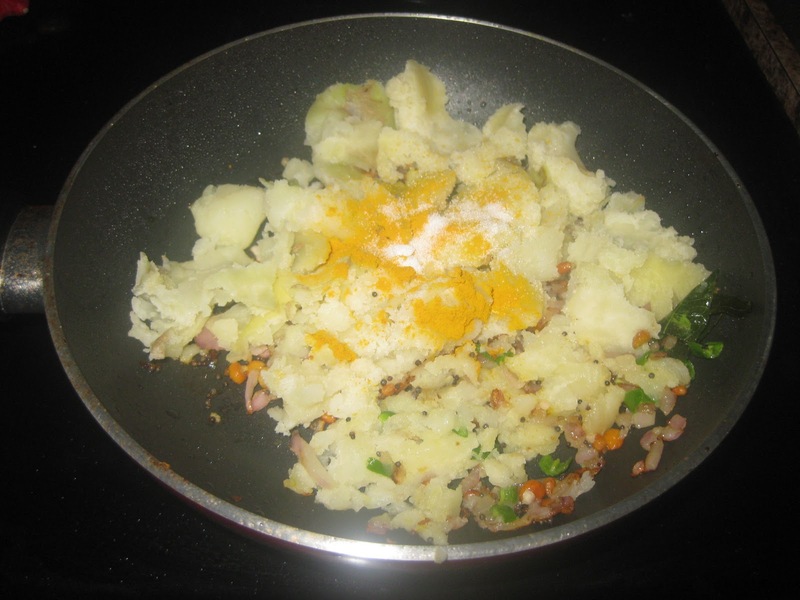 Potato can be substituted with mixed veggies such as carrot, beans and green peas. 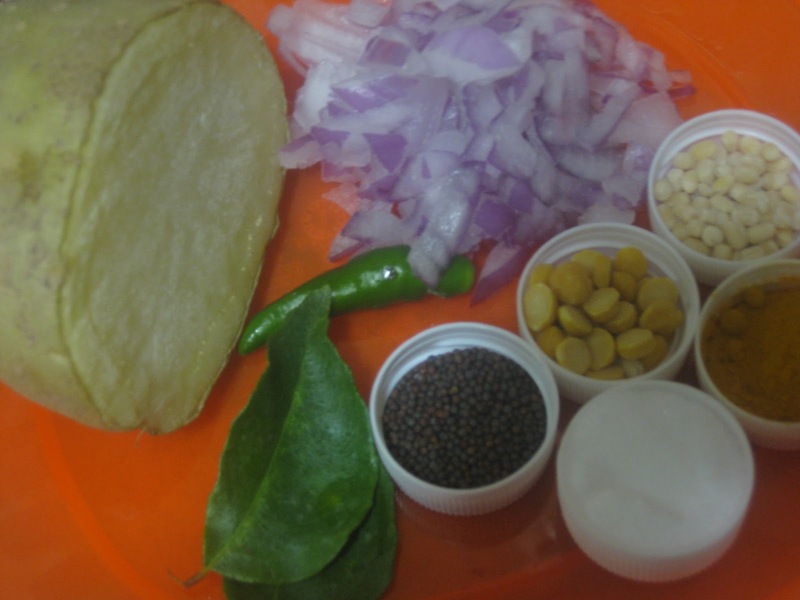 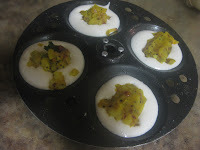 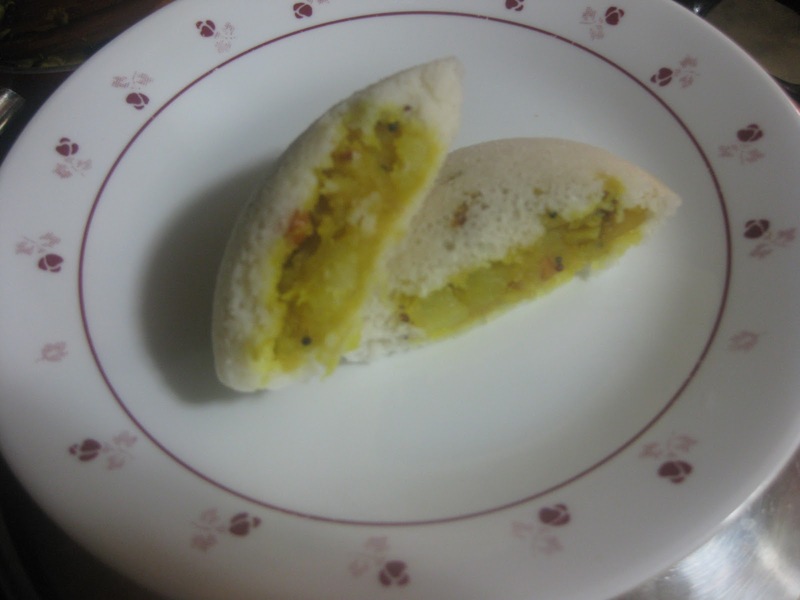 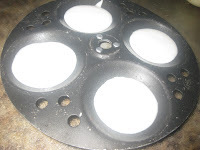 Instead of making in idly plate,a small bowl can be used to make idly. Sending this to Serve It - Steamed event. Thanks for sending this over... lovely idli..
Where I can buy this plate?